Oswd.org is a sharing web design site. 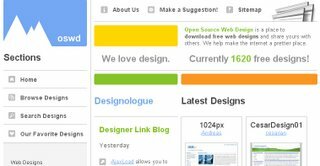 It collects many open source web designs, and offers anyone download free. It also has a community that allows you talk about web design.